The number of unfinished books that have visited my nightstand in the past are way more than ten. You too? Have you ever forced yourself to finish a book "just because" and for no other reason? That book is collecting dust, too, right? I'm really not a high maintenance reader. I simply want a story that is realistic, draws me in, causes me to empathize for the right characters, and hate the others. While I'm putting in my order, I also like stories that surprise me, wow me, make me laugh, cause me to reach for a tissue, force me to shout out loud and feel embarrassed when my family looks at me weird. Is this asking too much? I am a writer. I am also a reader. I always start a book hoping it will send shivers up my happy scale, cause me to want to read it again, and show me what a well written book looks like. Perhaps you are the very writer I want to read. The one who distracts me from a crummy day at work, the snobby cashier, the rotten driver who nearly ran me off the road, the fifty cent jump in gas price while I ran in for one grocery item, or the perfect dinner in the crock pot that didn't get turned on (Erica Vetsch recently confessed to this one). Readers want to turn pages. Readers want to feel the power of a story that could change their lives. Readers want stories like Esther to move them rather than be lectured with ten points. Readers love to read. Writers just need stories that put out the welcome mat. 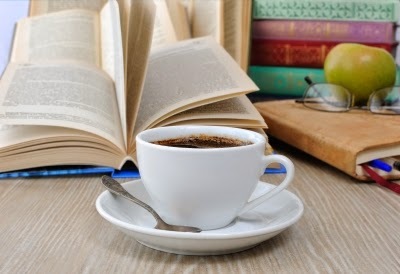 So, how can writers welcome a reader, show them a comfy chair, and hand them their favorite beverage to keep them turning pages? One of the best way to gift a reader is to have a page turner novel. One way to set up page turners is by giving a special gift at the end of a chapter. Often readers will endure slow moments in a scene, sometimes these are breathers for the reader. But if the end of a chapter ends with everything wrapped up with a lovely pink bow or has no action, the reader might close the book instead of turning the page to dive into the next chapter. In Tim Shoemaker's class: Take Your Fiction to the Gym presented at the Write to Publish Conference this year he helped me see how crucial the end of a chapter can be to keep the pages turning. 1. Who is the POV character? 3. What have they just seen, heard, said, done, etc? 4. What is the most unexpected word or action that could happen at this specific moment? This doesn't have to be something huge. But it can be. *Girl meets boy, (nothing new). Girl dresses nice and hopes boy wants to date her (nothing new). Five minutes before Mr. Wonderful arrives her little brother shoots her with his squirt gun...that has red dye in the water. Or...Girl gets a call five minutes before Mr. Wonderful arrives. The doctor's office says she has a brain tumor. *Man is walking down the street to his place of employment. Car drives by and splashes mud on the man. He goes to the men's room to wash, reaches into his pocket for his phone to call a family member to have them bring a new outfit. The same pocket he keeps his wallet. Only he doesn't feel his wallet. Or...he reaches into his pocket and finds the one hundred dollar bill he thought he lost two weeks ago. *The pov character received a reward-A promotion, the guy breaks off an engagement with the other girl, chosen for first place, etc. *It could be something as small as someone peeking around the corner and catching the character doing something. * Something the character cannot fix. This will give more power. The flat tire has made them late. What did the character miss? The phone call has canceled an important appointment. Your character has witnessed something good or a crime. * Needs to be unique or you will loose the surprise effect. Tim Shoemaker's class showed me the importance of putting something enticing, mysterious, suspenseful, or surprising at the end of every single chapter. This is doable. Ask your character what is the one thing they would not want to have happen at that moment...then write it in the scene. Let's share good examples from either your manuscript or a book you've read. Tell one awesome page turner (feel free to condense or share the text). Tim Shoemaker shared one about a teen boy trying to ask a girl to a prom. Paul tried to be alone with Joyce all day at school, but never had the chance. After school he went home, took a shower, put on nice clothes and drove his jalopy over to her house. He practiced his words all the way there and was confident Joyce would say yes. He turned on to her street and pulled up to her house. In the driveway, Chuck, the captain of the football team, stood next to a shiny black Fiat....talking to Joyce. What did the teen boy do? Turn the page and see. Your turn. If you can't think of an example, please take a second and say howdie doo. Standing in the Alley alone is no fun. If you found any typos in today's post...Mary Vee, (that's me sheepishly grinning), is waving her hand as the guilty party. Howdie Doo!!!!!!!! :) I haven't heard that in forever. I totally understand about the need for some page turners. I just finished a book that was a real bore. I said I would review it, so I had to finish it, but it definitely need some good page turners, let me tell you. Talk about your page turner!!! I had a few minutes free here in Paris and had to stop in to see everyone!!! How is your manuscript going? In a scene I just wrote, I had a reporter call my POV character asking for info about something the POV character didn't want to share. That was fun to write. I think Susan May Warren is great at page turners. And I've read other authors who excel at this too. I'm still figuring out how to do it. Your examples were GREAT. Thanks, Mary. And enjoy Paris! "A dull roaring hit her ears moments before she caught sight of giant rocks. Sucking in a breath, she scrambled for the oar, which was no longer there. She closed her eyes tightly and scrunched down. For a moment nothing happened. Then the boat crashed into a boulder, jarring Zana’s whole body. Her breath left her. Tilting slightly, the boat hit another rock. A horrific crashing noise sounded. As Zana screamed, another impact threw her into the water." Sorry, that posted too early. Great examples! I agree that Susan not only has the ability to write the page turners but teaches them well in her class. We all have teachers that click with us. Tim, the instructor I mentioned in today's post referred to James Scott Bell for much of his inspiration and teachings. When we find the "magic" when can then teach others adding our own flair and hopefully communicate in the unique way needed for that person. What a great idea to end a chapter with the villain appearing unexpectedly. Especially, if we the reader don't realize he/she is the villain at first. Thank you so much for sharing your example. Your writing sounds very intriguing.